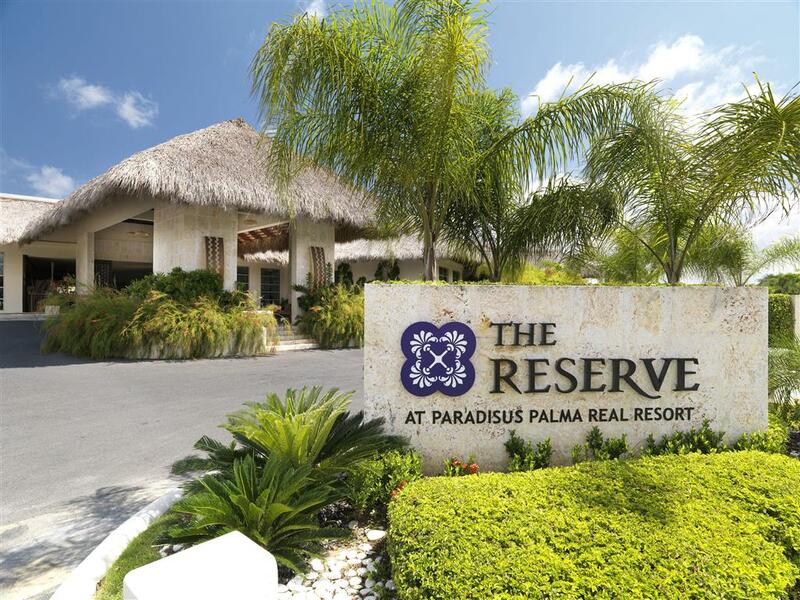 Elegance meets luxury complete with a Michelin-star restaurant and lots of other dining options a spectacular pool a beautiful beach a casino and championship golf at The Reserve at Paradisus Palma Real - All Inclusive. Modern and sophisticated this resort offers 190 lofty suites with mahogany furniture free Wi-Fi flat-panel TVs DVD players coffeemakers triple-sheeted bedding marble floors luxury toiletries and jetted tubs. Some rooms have private gardens and swim-up pool access. Indulge your taste buds at three restaurants including an exclusive poolside grill and a Michelin-star gourmet experience. Let the kids frolic in the toddler pool with water slides. A private beach and full concierge services make it easy to forget about the outside world. Guests also have access to a spa a fitness center casino and additional restaurants at the adjacent property. Parking is free. Enjoy Pilates wine tastings salsa lessons and just about any type of watersport. Hit the greens at Cocotal Golf Club three miles away. Hunt for treasures at Palma Real Shopping Village less than a mile away. Day trips to Isla Soana and the recreated Mediterranean village of Altos de Chavon can add a new dimension to the beach getaway. Punta Cana Airport is 12 miles south. Discover all I Punta Cana can offer you!